Tangible Text ~ Ron Samul, M.F.A. A writer likes to tell stories, connect ideas, and bring about their vision of art. Writers like to use words to make something. And bound with that is the desire to have a tangibility to their texts. 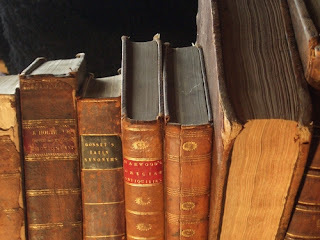 Books can have a physical sense to them, including their feel, the sound of the turning page, and the way they smell in different states of repose. Holding a text can be a preference. Some people just like to read physical books. But when an author holds a copy of their own book - does it suggest something more? There is a lot of data on preference, but it doesn’t speak to the creators of the content alone. Thousands of articles speak to research that finds more people still prefer print to electronic versions for a myriad of reasons. If you follow the money, according to the 2014 Pew Research statistics, the print book will garner higher revenues when distributed to bookstore outlets by $5,000 - $9000 per title, to that of printed books not sold in physical bookstores. “Similarly, although the difference was not as large, self-published books in the sample that were sold in bookstores - only 12% - earned a median of $500-$999 compared to $1-$499 for those that weren’t.” Writers with the resource of a publisher to distribute the book to bookstores gained substantially more than non-distributed writers. Writers are constantly considering audience. Maybe not directly, but writers are thinking about the people that will read their work, and how they will digest their work. But should a writer think about the form that their readers should be reading? Maybe this is a marketing question and not an artistic question. That is fair. Yet, many writers have become artist, agent, marketer, and speaker all in one package. At some point, a writer may ask - how should this digested? Do they prefer a book to hold or a cheaper, quicker to arrive, electronic version of work? Tangibility in a book is something that writers come to desire. They find that reading and the ideas that connect to that act is all about things that are unseen. So, it makes sense that the simple foundation of the book, pages, and binding be tangible, perhaps to ground them. In fact, bibliophiles relish the idea of holding, touching, and reading books. In some cases, like S. by J. J. Abrams, is a homage to the way books can be the setting for a conversation. Inside the books, tucked in the pages, you will find margin notes, letters, pictures and all kinds of paratext. But is their prestige in a print book? Further, is there an inter-social class system to publishing based on print and electronic formats? Does print books symbolize the backing of a big publisher? Does it connect with the idea that the writer’s work is distinguishable enough to catch the eye of an editor or agent? Anyone can send a file to a Kindle, but when it has an ISBN number does that mean something more? Perhaps it is merely permanence. In the world of digital connections, we may remain skeptical of the transferability of media through systems. Considering how well my VHS collection survived the shift into the new millennium, I would say that is a fair concern. But it is more than just concerns about transference, but permanence in the face of time. The book a writer creates has the potential to out-last their body and their place in the world by hundreds of years. It also has the potential to be lost into obscurity with other volumes in discarded warehouses and book repositories. There is a sense of permanence in holding a book. When I hold a book published in 1898, I feel like I am not only accessing ancient knowledge, but I am also digesting it in native form. That brings about reverence for the past. It is a grounding for those lost in the ethereal connections on the page. A timelessness that is as much a mystique as it is a reality. In Josh Catone's article Why Printed Books Will Never Die, he mentions that “People who need to possess the physical copy of a book, not merely an electronic version, believe that the objects themselves are sacred,” he wrote. “Some people may find this attitude baffling, arguing that books are merely objects that take up space. This is true, but so are Prague and your kids and the Sistine Chapel." Thinking about this concept, I can't help think of all the trinkets I've discovered in reading other people's books. Your Kindle won't have recpeies and four leaf clovers tucked away in their digital pages, but then again, maybe some people don't like those little surprises. Looking at the numbers, the tangibility of books still seems to dominate the market. But do we value the object or the ideas contained inside of it? I personally find myself torn between the tactile elements of owning a book, and the desire to read it instantly, right now. If it is a book I deem important, I will buy it and shelve it when I am done. If it is one read and gone kind of book -- then I buy it electronically. I am constantly balancing immediate want to how I plan on interacting with the book in the future. And in some ways, how I've interacted with them in the past. Why do writers want to see their book in print (not just on a screen)? And if the writer was told they could make as much money electronically as they do in print, would they still want to be a writer? Why? Tangibility and permanence may be a generational thing. For writers who value the printed book as a symbol of completions, a symbol of success and value - these writers are catching a glimpse into the past. The thought is: I admire printed writers so I should be printed. Perhaps for older writers, this is a dream fulfilled. This is the crowning achievement. Does that mean that a whole new generation of writers, currently attending MFA programs and writing first novels will value printed books the same way? If it is a matter of increased income, and the current publishing model endures, the answer is yes they will value it. However, Millennials may not see the value in filling their apartments up with books, but building a 2.0 audience based on social media and smaller micro-interactions with readers. As writers, people want to see their books printed and published. Perhaps their dream has always been to see them on the table at a chain bookstore. And perhaps we have created a kind of hierarchy where printed writers are prestigious and e-book authors are struggling to make it to the market. When I walk into a bookstore, I am often overwhelmed and find myself quickly moving to authors or sections I can find something close to my preferences. Like streaming video services, where people can watch anything they want, books, too, are becoming more specific to a generation (with little or no reading time) who needs to read specific and meaningful books without the privilege of browsing the shelves or finding someone they prefer. Perhaps we all still desire to hold on to those stories, really hold them in our hands, to remember why they are important. Perhaps we all should just have a few books that changed our lives and remember that it wasn't just words and ideas, but they were things that changed us. Perhaps we aren't that far from the past. We still need to hold on to those books, to ground us in our own tangible texts.